This treaty was born of war on the northern plains and took seven months to be completed, from April 29 to Nov. 6, 1868. It was negotiated in what was then the Wyoming Territory, between members of the US government’s newly established Indian Peace Commission and delegations representing the Dakota (Santee) Lakota (Hunkpapa, Itazipco, Mnicoujou, Oglala, Oohenumpa, Sicanju, Siha Sapa, Sisitonwan, and Wahpetonwan), Nakota (Ikhanktown/a) and Northern Arapaho peoples. The first Native American delegates signed the document on April 29, 1868. The Oglala Lakota, Chief Mahpĭya Lŭta (Red Cloud) was among the last to sign, on Nov. 6. Led by Red Cloud, the Dakota and Lakota, and their Cheyenne and Arapaho allies, defeated U.S. Army detachments and halted wagon trains moving from Wyoming into the Montana Territory. With its soldiers subdued, the United States dispatched peace commissioners to reach a settlement. For the Sioux and Northern Arapaho representatives who negotiated the treaty, it seemed like a victory. The United States agreed to abandon its forts along the Bozeman Trail; guarantee exclusive tribal occupation of extensive reservation lands, including the Black Hills; recognize tribal hunting rights on adjoining “unceded” territories and bar white settlers from them; and forbid future land cessions unless approved by 75 percent of the Native adult men. The treaty also included numerous provisions for assimilating Indians into non-Native American culture. Congress violated the Fort Laramie Treaty in 1877, seizing the Black Hills without tribal consent. The act spawned an epic legal battle for the restitution of the sacred lands—a struggle that continues today. This is the first treaty on loan to “Nation to Nation” that will not be shown in its entirety. The treaty is 36 pages total, and the exhibition case can only accommodate 16 pages. Hence, the case features pages that show the names of tribal leaders. To view high-resolution images, visit the website: https://catalog.archives.gov/id/299803. Displaying original treaties in “Nation to Nation” is made possible by the National Archives, an exhibition partner. Several of the treaties receive extensive conservation treatment by the National Archives’ conservator prior to loan. There are a total of over 370 ratified Indian treaties in the National Archives. For more information about these treaties, see https://www.archives.gov/research/native-americans/treaties. The next treaty scheduled to go on display at the National Museum of the American Indian will be the Cherokee Treaty at New Echota, 1835, in spring 2019. The treaty currently on display is the first written treaty between the U.S. and an Indian Nation, the Treaty with the Delawares, 1778. The treaty was intended to create an alliance between the Lenape and the United States during the American War of Independence. The document has been on display since May 10. 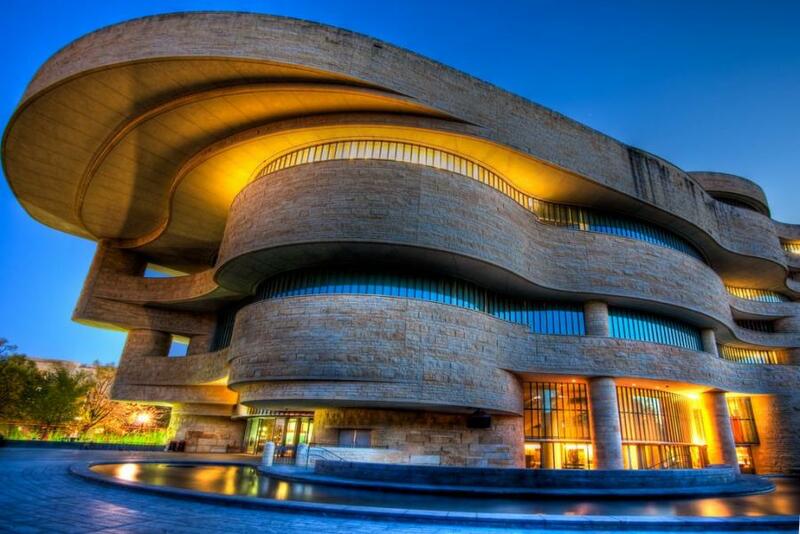 The National Museum of the American Indian is committed to advancing knowledge and understanding of the Native cultures of the Western Hemisphere—past, present and future—through partnership with Native people and others. Located on the National Mall at Fourth Street and Independence Avenue S.W., the museum is open every day from 10 a.m. to 5:30 p.m. (closed Dec. 25). The museum is also on Facebook, Twitter, Instagram and AmericanIndian.si.edu. Hail To the Redskins Cheerleaders!